Weather here in Blue Ridge, GA is finally starting to resemble the Fall season. Temps are dropping, leaves are changing, and the trout are active with the water temps resting around the upper 50s. 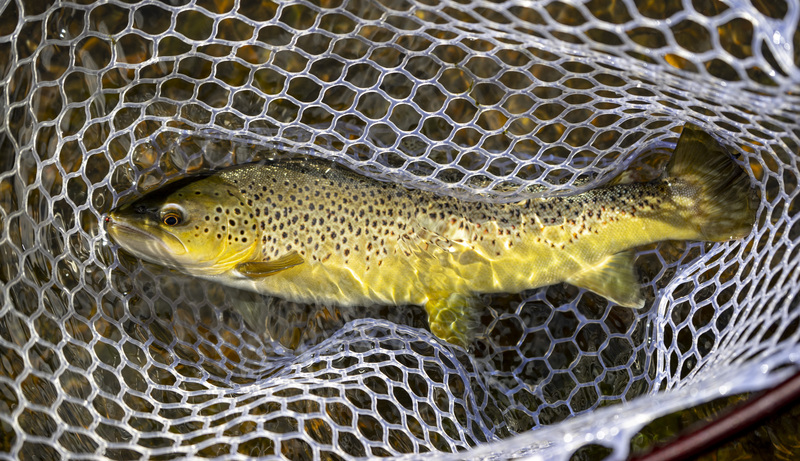 “Tis the season…for some monster BROWNS” – Around November, Brown trout will migrate and begin spawning! Though they won’t eat a whole lot, these fish are very protective of their spawning beds and will likely take a bite at anything that might be perceived as a threat to their beds. Finally, DH season starts Nov. 1st, which means catch-and-release only, artificial lures, and single hooks. 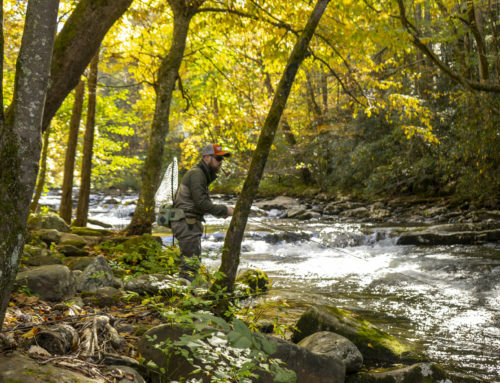 To paraphrase, you’re likely to encounter solely fly fishermen and catch-and-release anglers. You won’t be finding anglers chunking rooster tails or fishing a hole next to you with a stinger of fish or cooler. So get out there and enjoy the awesome month of November!